Thomas Friedensen studied etching at the Royal College of Art, London under Sir Frank Short, and exhibited paintings, watercolours, drawings and prints with numerous art societies and commercial galleries in London prior to his emigration to Australia in 1921. He met Sydney Long while still in England in 1920 through the Graphic Art Society, where Long was a founding member. Both artists later became members of the Australian Painter-Etchers' Society. 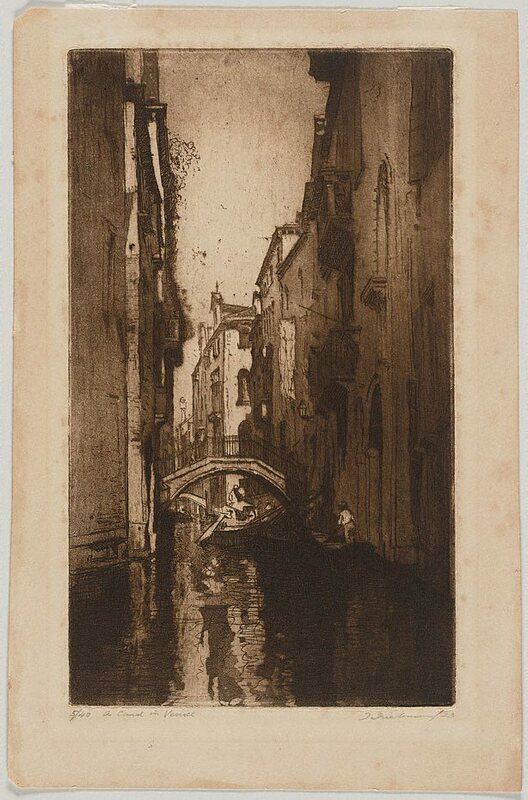 Friedensen was widely travelled and his etchings of European subjects were popular in Australia – six were acquired by the Gallery in the 1920s. He took to Australian subject matter with great enthusiasm, exhibiting etchings of rural subjects alongside his European prints, and he continued to make prints of European, English and African subjects while living in Sydney. Signed and dated l.r., pencil "T. Friedensen/23".